Green foliage is spicier than Italian Oregano. Used in salsa and chili dishes. As the name suggest, this pungent oregano has the bold flavors that are the building blocks of Mexican dishes. 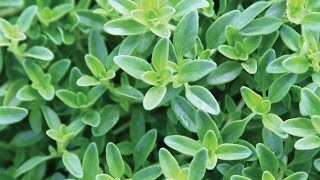 Also a good substitute for recipes calling for common oregano, though reduce amount by half of what the recipe calls for. 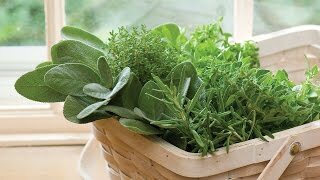 Anyone can grow fresh gourmet garden herbs in just a small space or container. Many favorite herbs are actually perennials that return season after season. Oregano may be grown from seed sown early indoors and transplanted outside after frost, directly sown, or planted as a potted plant. Sow oregano seeds indoors 6-10 weeks before the last frost in spring using a seed starting kit. Barely cover seeds in seed-starting formula. If you are growing in small cells, you may need to transplant the seedlings to 3 or 4 inch pots when seedlings have at least 3 pairs of leaves before transplanting to the garden so they have enough room to develop strong roots. Direct sow in average soil in full sun after all danger of frost when temperatures remain above 45 degrees F.
Remove weeds and work organic matter into the top 6-8 inches of soil; then level and smooth. Sow seeds evenly and barely cover with fine soil. Firm the soil lightly and keep evenly moist. Seedlings will emerge in 10-21 days. Thin to 12 inches apart when seedlings have three sets of leaves. Select a location (out of the way or in a container due to rapid spread) in full sun or part shade with good rich, evenly moist soil. Set the plants 12 inches apart. Mulches also help retain soil moisture and maintain even soil temperatures. For herbs, an organic mulch of aged bark or shredded leaves lends a natural look to the bed and will improve the soil as it breaks down in time. Always keep mulches off a plant’s stems to prevent possible rot. Keep plants well-watered during the growing season, especially during dry spells. Plants need about 1 inch of rain per week during the growing season. Use a rain gauge to check to see if you need to add water. It’s best to water with a drip or trickle system that delivers water at low pressure at the soil level. If you water with overhead sprinklers, water early in the day so the foliage has time to dry off before evening, to minimize disease problems. Keep the soil moist but not saturated. Fertilize as needed with an all purpose fertilizer. To propagate, divide the plants in spring. Harvest as needed and to keep plants most productive and bushy. Harvest in the morning when plants are dry. Harvest before flower buds form. Cut leaves on a sunny morning. Tie stems together and hang in a dry place away from the sun. OR spread on a cheesecloth or a window screen in a dry, shady location. Or dry herbs in the oven for 2-3 hours on a cookie sheet at the lowest heat, leaving the oven door open. OR use a dehydrator following the manufacturer’s instructions. When thoroughly dry, pulverize and store in a tightly sealed glass jar in a dry, dark location, such as a cupboard. Oregano may also be frozen either in zip lock bags or finely chopped in water or olive oil in ice cube trays. Oregano, Hot & Spicy is rated 5.0 out of 5 by 1. Rated 5 out of 5 by chihuahuaman12 from Nice Spicy Oregano! This is a wonderful variety of oregano! I have always loved spicy food and the smell of this oregano was outstanding! All herbs are difficult to start from seed so I chose to buy one plant. When received in the mail, the oregano plant looked like the picture but come late summer it will fill a 10" pot! The dark-green, spade-shaped leaves reminded me of potato foliage. The plant grew very flat to the ground (certainly not 12") and covered a wide pot. It didn't need much water and thrived. Harvest when many long stems grow. Snip off the biggest stems and leave the little stems to grow. Strip the leaves off the stems and use the stems to flavor foods. Slice the leaves into small pieces to bring out their strong spicy smell. Hot & Spicy Oregano is simply perfect in homemade pizzas. When frost starts to come and the plant looks like it is weakening, harvest all stems big and small. You can also dry the leaves or chopped up pieces for later use. Good Luck! Happy Planting!